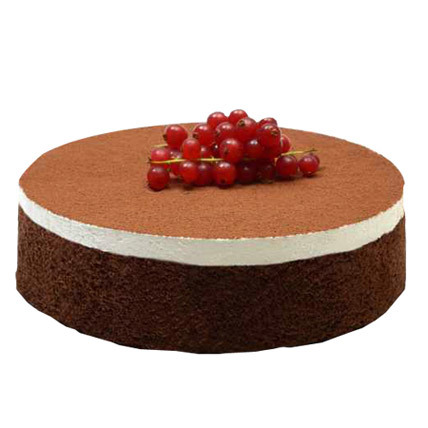 This French classical cake is made here by taking a chocolate sponge cake as the base. It is then layered with dark Swiss chocolate cream and white Swiss chocolate cream and garnished with cocoa power. The ravishing look it has is further enhanced by addition of some berries. Your loved ones would be more than happy with this gift.